While families were being torn apart, another was formed. Micah went in search of the downed transport plane that carried the fugitives, but failed to find his cousin, Monica. Instead he found Sparrow Redhouse, a young woman with the ability to control earth. Together, they overcame the government agents that pursued them and Micah realized that if he was to have any hope of finding his family he was going to need an army of his own. At "home" in New Orleans, Micah sends messages to Sparrow Redhouse in New York, and West Rosen in Los Angeles. He sends a car for Sparrow to drive (and allows West to fly) to a location he has decided to be their base of operations. Once there, Micah discovers that the government has gone after a family in London. West and Sparrow agree to help them. 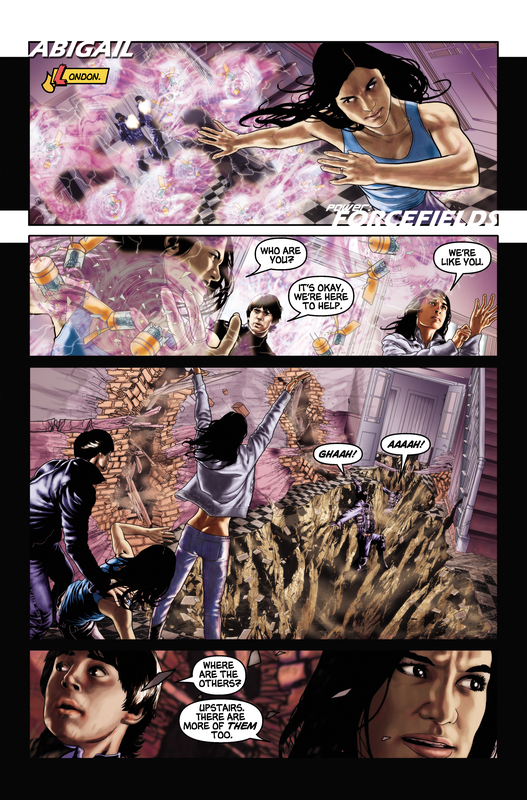 In London, Abigail is using her forcefields to deflect countless bullets fired at her by government agents. West and Sparrow arrive and Sparrow splits the ground apart, killing the agents. Abigail then tells them that the others are upstairs as well as there being more agents. They run upstairs where they find Lee being attacked. 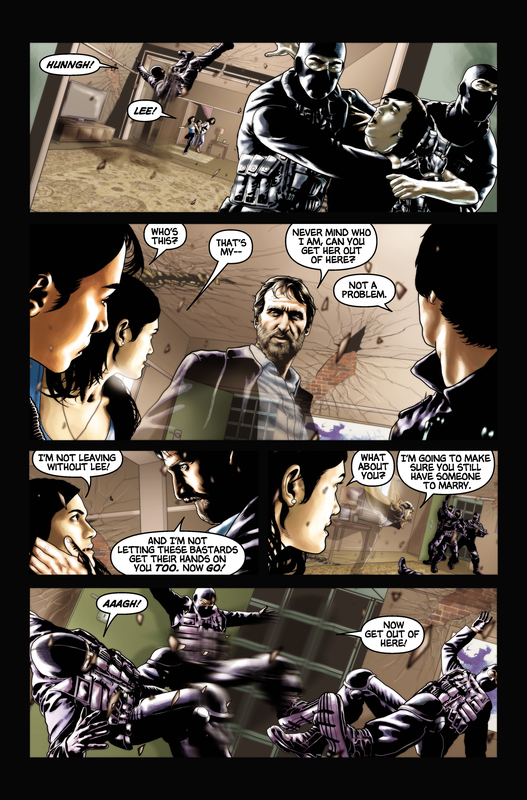 Claude becomes visible after taking down an agent and tells West and Sparrow to take Abigail away. Abigail protests that she wants Lee but Claude convinces her to leave, promising he will make sure she will have someone to marry. Claude then becomes invisible and attacks the oncoming agents. 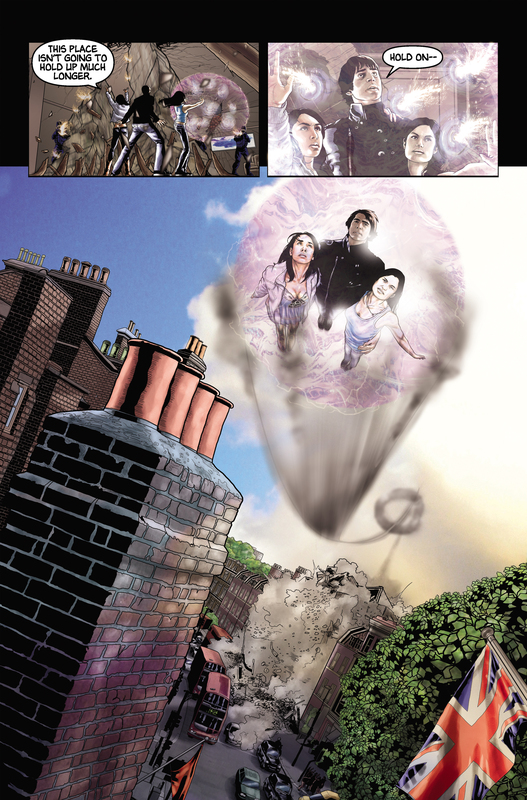 Following Claude's orders, West flies Abigail and Sparrow into the air while being protected by another forcefield. As they fly away, the building collapses. 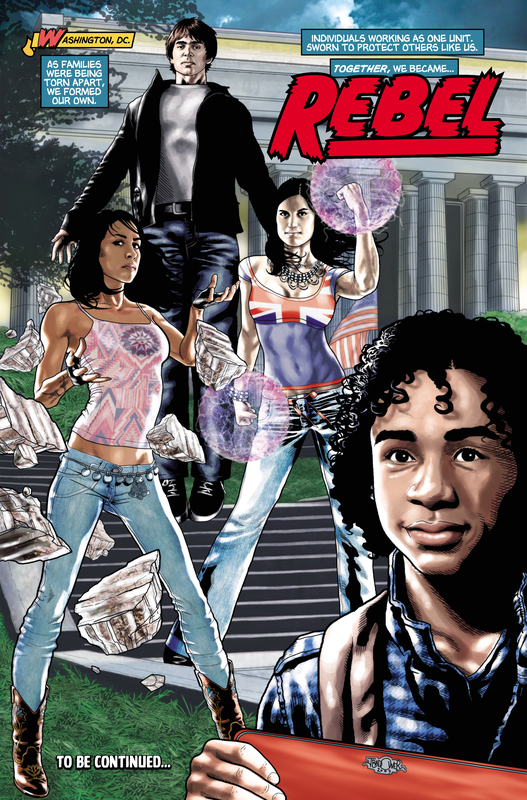 Later, In Washington, DC, Micah, West, Sparrow and Abigail stand together as "Rebel". Jason Badower put a notice on his Facebook page asking fans to submit their names if they wanted to be included in this graphic novel. Shout outs include references to Heather Lee Olson Noonan (Jason Badower's girlfriend), acidburn133, Sheindie (from Sheindie Publishing), Alexandre Togeiro, Rob Beck (and again), thejollity (and again), PulpFaction, Lindsey Elhai, Jessica Taurins, Alex Moses (and Image:Dylan Eales etc.jpg), Anthony Mitchell, Ian Austin, Oneironaut, curlymarie, Noo Seen, Chloe Nye, Alby Chin, Green Dragon, Kelly J. Compeau, Da Shark Shack, !404 (and again), Paul Cageggi (and again and again), Helix Comics, Steven Barrance, and Adam Waterfield, Dylan Eales. 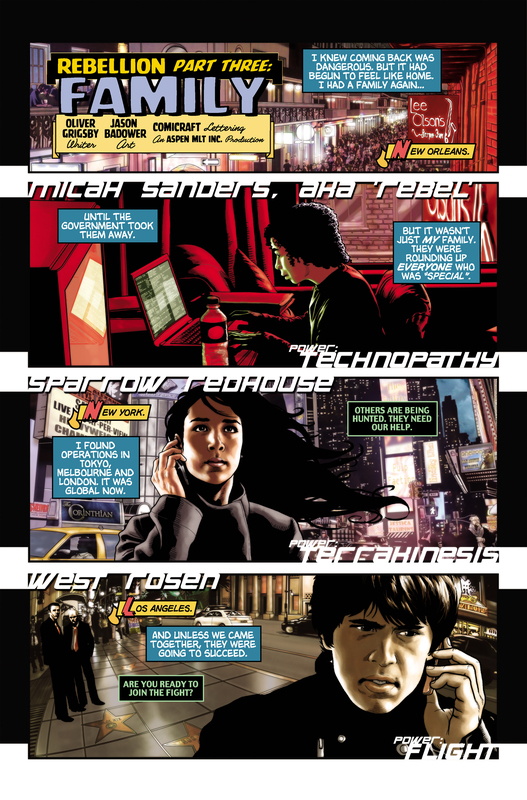 Some shout outs were covered up with text and redraws, including references to Justin Barlow/Riddler, alabastamasta, Nick Hayden, and Stephanie Gerk. 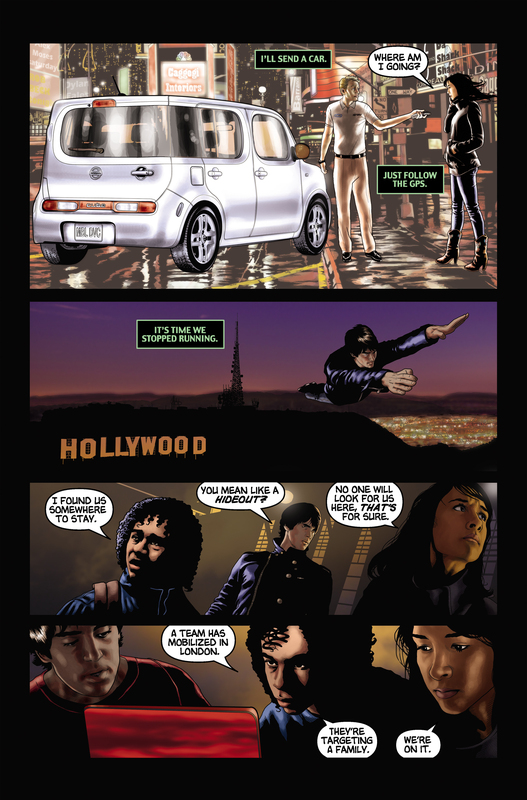 A limited-edition paperback version of this comic was distributed at the 2009 San Diego Comics Convention. For images from Rebellion, Part 3, see images from Rebellion, Part 3. This page was last modified on 18 October 2015, at 03:23.